Do you take payments over the phone or through the mail? Are you tired of manually punching card numbers into an antiquated credit card terminal that has very limited reporting and a high margin of error? 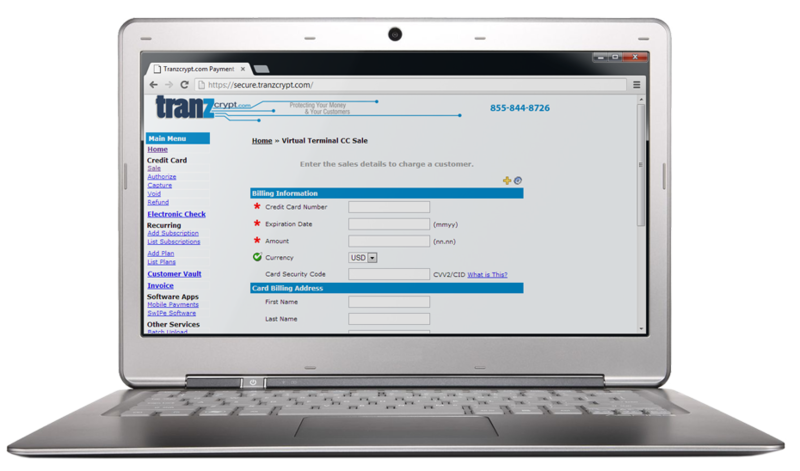 Tranzcrypt.com offers a simple yet powerful suite of features that are perfect for most mail order and telephone order businesses. Throw out that old credit card machine and start using our built in Virtual Terminal or even better if you have customers you bill on a recurring basis for a predetermined amount start using our Customer Vault and Recurring Billing features. By utilizing Tranzcrypt.com’s powerful features you will streamline your business practices and save time and money.